Eastern European steel: well positioned to export west? With rising input costs, environmental regulations and a fluid market, the production of Western European steel is looking less economical. Blast furnaces have already been mothballed, and the fear remains that these could be permanently shut. As with other manufacturing, could outsourcing the production of steel-semis make sense? With its steel overcapacity, China could provide an answer, but China has built its economy on exporting - exporting finished products, rather than semi-finished steel. So could the close proximity of Eastern Europe steel mills make them a supplier of semi-finished steel into Western Europe? 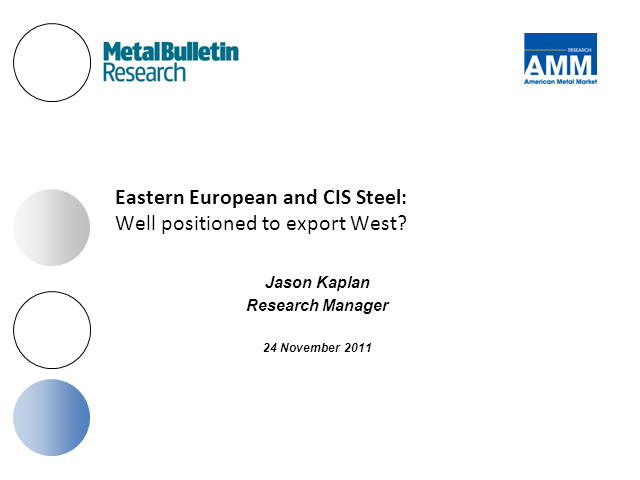 Title: Eastern European steel: well positioned to export west?